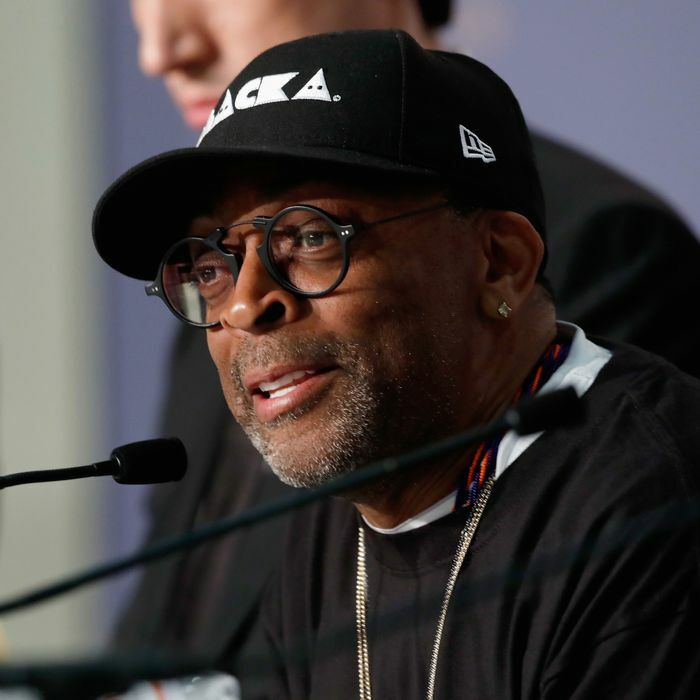 Last night at the Cannes Film Festival, Spike Lee unveiled his new film BlacKkKlansman, based on the unlikely true story of a black police officer who managed to infiltrate the Ku Klux Klan. The movie had a gangbusters premiere and left many attendees in tears thanks to its coda: A documentary montage of the conflict in Charlottesville, astoundingly edited, that ends with a dedication to Heather Heyer, who was run down and killed when a man drove his car into a group of people protesting white nationalism. “It’s an ugly, ugly, ugly blemish on the United States of America,” Lee said at the press conference for the film today. “Heather should be alive now. It’s a murderous act.” Lee added the coda after the film had already wrapped, and he will release the film on the first anniversary of the Charlottesville conflict. Today at the press conference, when asked about procuring the footage, Lee launched into a passionate, five-minute monologue that often served as a rebuke of President Trump and, upon its ending, left even the 61-year-old director shaken. Here is what he said, in full.